All summer I anxiously watched the ALS Ice Bucket Challenge go viral, wondering when it would reach me. Then it finally happened. I was nominated! Most people do not like to consider themselves political advocates. The word “politics” evokes power, the influence of others and exerting control. As we all know, “with great power, comes great responsibility.” And for many nonprofit executives I talk to, they don’t want to get caught in that crossfire. However, trying to avoid politics is like trying to avoid the need for fundraising. No one wants to admit they have to do it—but the hidden truth is that they do if they want to fulfill their mission, purpose, and bring change that helps their communities evolve for the better. In March of 2013, activist and fundraiser Dan Pallota walked onto a TED talk stage and delivered a message that rocked the foundation of most nonprofit organizations. Over 3 million visitors later, his talk entitled The way we think about charity is dead wrong is still reverberating through the nonprofit world and well beyond. In a nutshell, Dan Pallotta questions why we reward nonprofits for how little they spend, not for what they get done. We don’t use this line of reasoning in the for profit world at all. Mr. Pallotta memorably says that we need to start rewarding charities for their big goals and big accomplishments instead. We can already see the benefits of this bold thinking at work. Dan Pallotta walks the talk (or more fittingly, bikes the talk). He spearheaded the multi-day charitable event industry with the long-distance Breast Cancer 3-Day walks, AIDS Rides bicycle events, and Out of the Darkness suicide prevention night walks. Over a nine period, 182,000 people participated in these events and raised nearly $600 million. Think about that in terms of your organization. Are you dreaming big and asking your donors, members or supporters to do the same? Can you get out of the “doing it the same old way” mindset and try something bold and interesting enough to get people buzzing and investing in your dream? This blog post is excerpted from a post that originally appeared at 19 Oaks. Click here to read the whole post. 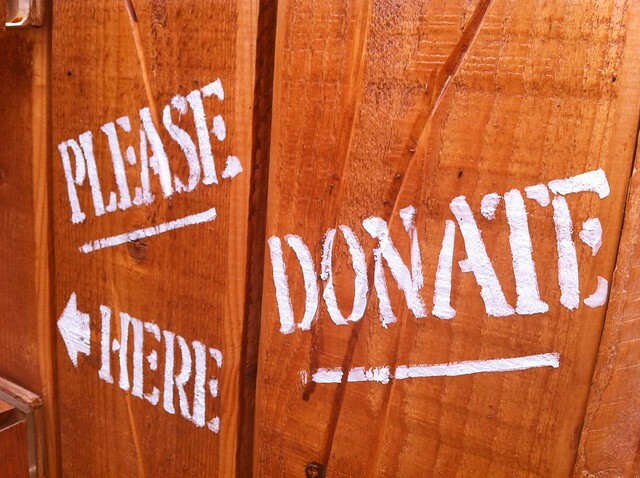 Asking the members of your non-profit for donations is a sensitive and consuming topic for many membership based organizations. No one really likes having to ask for money, but to continue your mission, every nonprofit knows that fundraising is essential.